Daniel's Spark was a pleasant surprise. This short film proves that the heart and success of any film is found in its story. The film avoids cliches and sentimentality, and reaches to a deeper and more meaningful level. 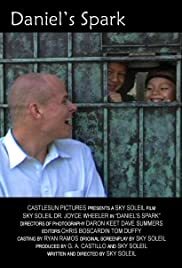 Sky Soleil's acting shows a finesse and quality one doesn't often see: his easy-going manner gently pulls the viewer into the story, and by the end of the film his impact on the audience is both subtle and profound. It will be interesting to see his future work. The camera and editing work is also very well done, and a higher caliber than one might expect with a short. In all, the various elements of this film come together to make a really enjoyable movie. This is one to see.